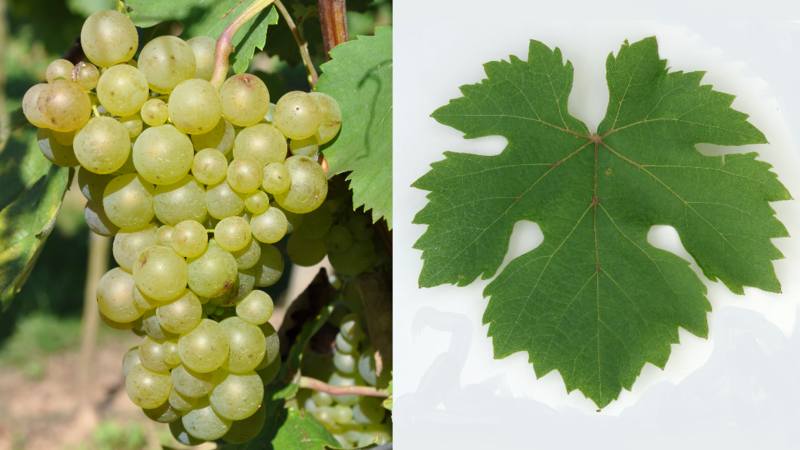 The white grape comes from Slovenia or Croatia, Synonyms are Belina Pleterje, Plavis, Praskava Belina, Ranfol Beli, Ranfol Bijela, Sremska Bijolina, Stajerska Belina (Styrian White), Urbanka and Vrbanka. She is not allowed to Gouais blanc (Heunisch), for which the synonym Stajerska Belina was often used. According to 2012 done DNA analysis it comes from a presumably natural cross between Vulpea x Gouais blanc. However, this is based on only 20 DNA markers (see below molecular Genetics ). The high-yielding vine yields bright white wines. It is called in Slovenia under the name Belina Pleterje especially in the areas Podravje and Posavje cultivated and is in PTP wine cviček authorized. In Croatia, it is grown mainly in the north, in 2010, 134 hectares of vineyards were reported here. This page was last modified at 4 January 2019 at 13:18.